When you stay at Ocean Beach Club by Diamond Resorts in Virginia Beach, you'll be on the beach, just steps from Virginia Beach Boardwalk and 4 minutes by foot from Neptune Statue. This beach condo is 2.3 mi (3.7 km) from Virginia Beach Convention Center and 10.5 mi (16.9 km) from Virginia Beach Town Center. Ocean Beach Club by Diamond Resorts features 2 indoor swimming pools, an indoor pool, an outdoor pool, business center, and a fitness center. The condo offers a snack bar/deli. Guests can unwind with a drink at one of the condo's bars, which include a beach bar, a poolside bar, and a bar/lounge. WiFi is complimentary. 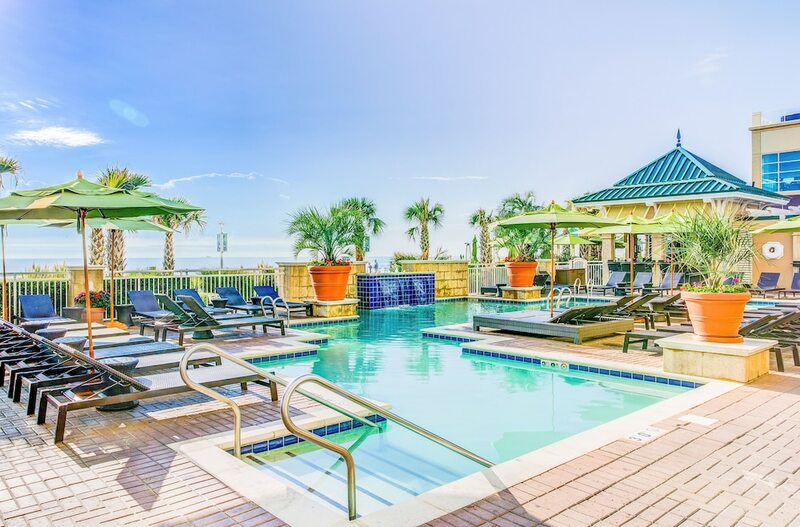 This beach condo also offers a children's pool, an outdoor pool, and tour/ticket assistance. Onsite parking is available (surcharge). Ocean Beach Club by Diamond Resorts is a smoke-free property. Tortugas Tiki - This restaurant is located on the beach. Guests can order drinks at the bar and enjoy alfresco dining (weather permitting). A children's menu is available. 2 indoor swimming pools are on site along with an outdoor pool. In addition to an indoor pool, other recreational amenities include a fitness center, an outdoor pool, and a children's pool. A Government Issued Identification and Major credit card must be presented at check-in which will be authorized for $100 USD incidentals. This property does not offer daily housekeeping. For more details, please contact the property using the information on the reservation confirmation received after booking.